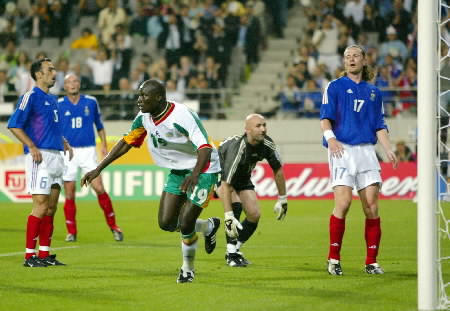 : Qualified for the '98 and '02 World Cups, never progressed to knockout stage. 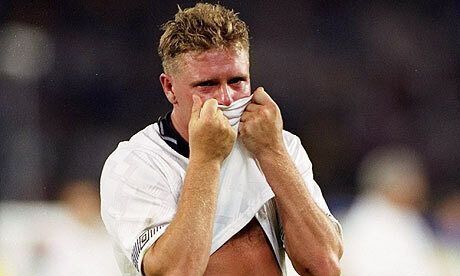 The host country always qualifies for the knockout stages — even the lowly USA did it in '94. But can a team that FIFA ranks dead last out of the 32 World Cup teams keep up that astonishing statistic? Parreira has led five countries to six World Cups (Kuwait '82, UAE '90, Brazil '94 and '06, Saudi Arabia '98, South Africa '10). With good teams (Brazil '94) he won the whole thing; with awful teams (Kuwait, UAE, Saudi Arabia) he has failed to advance. In '98, Parreira was dismissed before the third group game. Whatever attack Bafana Bafana can maintain will flow through the braided midfielder. Pienaar is never flashy, but his pace and instincts pull him into most attacking plays. (striker, Mamelodi Sundowns*) is a 24-year-old ball of quickness that will likely come off the bench. Central casting couldn't conjure a more villainous-looking defender than monstrously tall Matthew Booth. The team will likely play a very un-Brazilian 4-2-2-2 with two defensive midfielders. It isn't pretty and most South Africans don't really like it, but Parreira doesn't have the talent to do much of anything else. It's good that they're throwing a party, but South Africa (like Kid and Play) will be shown up by their more-famous guests (like Queen Latifah, Martin Lawrence, Tisha Campbell, Iman). Since they didn't have to qualify, the South Africans don't have a large body of work to examine the last two years. They finished fourth in the Confederations Cup last summer, this was one of their better performances, a 3-2 loss to Spain the third-place game. According to a recent survey, South Africa ranks fourth in the world in percentage of people who regularly attend church.
. They will most likely be buyoed by them. ... Very lucky to have been drawn into the "Group of Disorder." France and Mexico struggled in qualifying and are both easily knocked off their game. ... Best case scenario? Sneak into second place in the group, lose in the knockout stage. ... Realistic prediction? Fourth place in the group with three-straight losses. South Africa has had a long and troubled history with racial relations (to say the least), imagine the scene that will unfold when 90-year-old former president and prisoner Nelson Mandela and the United States' first black president Barack Obama get together to watch a game at this tournament?